If you think your loved one is being neglected or abused in a Kingsland nursing home, know that you are not alone. Our website has been designed to give you answers so that you can fight back. Even though our website has plenty of answers, we highly encourage you to give us a call so that we can discuss your specific case. We’re here to help you. Neglect and abuse have two different meanings. Neglect usually comes when nurses fail to follow the proper procedures set forth by a resident’s physician. This type of conduct is usually unintentional, but can result in an injury to the resident. Abuse on the other hand is an intentional act from the nurse or a resident that causes either emotional or physical harm to a resident. Whether it’s neglect or abuse, neither should ever be tolerated. What happens in a nursing home lawsuit? A nursing home lawsuit begins when a claim comes forth with a demand package. The demand package, which is prepared by an attorney, is a summation of the facts of the claim and includes all the relevant documents and evidence that pertain to the claim. This package basically lays out the case and shows the nursing home what a lawsuit may look like. The demand package contains a demand for a specific amount of money in order to settle the claim. If the nursing home accepts, then the claim will not be pursued. Once the nursing home receives the package, they review it and conduct their own investigation. After their investigation, they usually counter with a value much lower than the one proposed. Once this occurs, both parties usually attempt to reach a settlement in order to avoid trial. Trial always poses a risk for both parties, and is usually very time consuming. If a settlement is not reached, then the case will go to trial. Just because a case goes to trial, does not mean that a settlement cannot still be reached. How is a nursing home case valued? The value of a nursing home case comes down to several factors. The permanency of the injuries sustained, the amount lost in wages and medical procedures, and even the affect that the pain has on day to day activities are all factors. Each and every factor is taken into account in order to calculate the value of the case. One of the most important factors is the permanency of the injury. When a severe case of bodily injury occurs, such as the loss of a limb, or a serious disability, the claim may increase by a very large amount. Another factor that is of importance is the amount and type of treatment that the injured person receives. The more involved and protracted the treatment, the higher the value of the claim. For example if a case entails some type of serious surgery such as a spinal surgery that requires a year of rehabilitation, then the value of the claim will increase. Finally the level of change that an injury brings to a victim’s life affects the value of the claim as well. Missing important life events, and not being able to continue hobbies are also taken into account. We are Schenk Smith, your Kingsland nursing home lawyers. When you go to our site, you’ll notice that all of our information focuses solely on cases against nursing home neglect and abuse. We do not practice any other form of law. 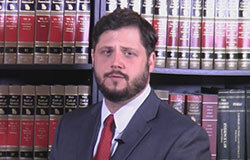 We do not represent DUI defendants. All we focus on is suing nursing homes that have failed to provide a reasonable standard of care for its residents. We’re very passionate about the law that we practice. Our founding attorney, Will Smith, spent a decade prior to law school as a CNA for several nursing homes in the state of Georgia. That passion and dedication permeates throughout our entire firm, and sets the standard for our approach. After you’ve had the opportunity to view our videos, listen to the episodes from our podcast, and check out our blog, please give us a call so that we can schedule a consultation for your case. We can come to you at any time, regardless of where you live in Kingsland. Whether you’re by the Crooked River State Park, the Cumberland Island National Seashore, or Amelia Island, we’ve got you. Nursing Home Abuse & Neglect in Kingsland, Georgia – What you need to know. Kingsland, Georgia is located in Camden County, and has a population of 16,411 residents. Of those residents, 9.70% are aged 65 and older. As with other nursing homes in Georgia, elderly neglect and abuse happens on a frequent basis. What are some of the categories of nursing home neglect? It’s important to catch these signs early on, in order to stop the negligence before it leads to serious harm. Neglect often occurs when a nursing home doesn’t have enough staff, a poorly trained staff, and when a nursing home hires unqualified nurses. Hygiene will usually be the number one factor that will help show you when any of these has occurred, as usually lack of hygiene is the first sign of negligence. When a staff is poorly trained or reckless, some of these areas will falter, causing a lack of hygiene. Weakness, illness, and weight loss or excessive weight gain are other signs of negligence that stem from malnutrition. Finally unexplained bruises or broken bones are clear signs that residents are not receiving the proper help that is required. Nursing homes have a legal duty to provide sufficient and reasonable care, making sure that each and every resident is attended to. Are bedsores alone a sign of neglect? According to Federal and Georgia regulations, residents that enter a nursing home without a bedsore should never develop a bedsore unless the resident’s specific condition demonstrates that the bedsore is unavoidable. This means that the bedsore will still occur despite the nursing home’s proper assessment and execution of proper preventative measures have been set and met. If the nursing home has used all their resources in order to prevent the bedsore, and the bedsore still occurs, then it is a case of the bedsore being unavoidable. This does not mean though that all bedsores are unavoidable. Usually when the nursing follows an appropriate standard of care, bedsores will not form. Many medical scholars and providers call bedsores “never events” meaning they’re not something that should occur. This means when they do, it is a clear sign of neglect. When preventative measures are not followed, bedsores may develop, leaving the nursing home liable to negligence. Who is liable for my loved one’s medical bills? If physical abuse has occurred, whether it’s between a staff member and a resident, or resident to resident, the nursing home may be legally required to cover the cost of medical bills, out of pocket expenses, and pain and suffering related to any resident-to-resident altercations. For nursing home neglect victims, sometimes Medicare will cover the cost of the medical bills, as well as pay for any of the treatment. But Medicare is then entitled to be paid back that amount from any settlement by the liable party. If a resident has suffered injuries at a nursing home, almost 100% of the time, the nursing home’s liability insurance provider will be the entity paying your loved one’s compensation. My loved one was hurt in a Kingsland nursing home – What do I do next? If your loved one was hurt or passed away at a Kingsland, Georgia nursing home, then we highly recommend that you act immediately in order to protect your loved one’s rights. The Healthcare Facility Regulation, which is a department of The Georgia Department of Community Health, investigates nursing homes for neglect and abuse against residents. They also certify and regulate nursing homes within the state of Georgia. Another route that you can take when filing a complaint is through the Georgia Office of the State Long-Term Care Ombudsman. The Ombudsman program consists of individuals who are dedicated towards resolving complaints and issues between residents and nursing homes. They also are authorized by law to enter nursing homes and ask questions. If your loved one has been assaulted, abused, injured, or killed due to an unlawful action of the nursing home, then it is in your best interest to file a police report. Depending on the severity of what occurred, criminal charges may be brought against the staff by the District Attorney’s Office: Brunswick Judicial District. For abuse occurring in a Kingsland, Georgia nursing home, report the crime to the Police Department of Kingsland, Georgia or to the Camden County Sheriff. If the opportunity presents itself, it may be in your best interest to admit your loved one into a different facility. Especially if neglect or abuse has taken place. How will you know if a new nursing home is safe? We recommend that you conduct a walk through inspection of the facility, and ask as many questions as you can. A useful tool to use is the Nursing Home Compare website which is operated by the United States Centers for Medicare and Medicaid Services (CMS). The CMS website compiles data on every nursing home in the country, while giving each a rating based off a 5-star system. The ratings are based off quality, nurse-to-resident ratio, inspection scores, and other factors. For your convenience, a list of all nursing homes located within Kingsland, Georgia is located below, along with their contact information and inspection scores. The main component to monitor from nursing home abuse and neglect cases will be the health of your loved one. It’s imperative to see what the cause was for their injury. The reason it is so important, is because nursing homes will stop at nothing to place the blame on the resident. Even if there is overwhelming evidence that points directly to the nursing home being at fault, they’ll still try to deny. For example, if your loved one suffers a broken bone from a fall, the nursing home will claim that the bone was already broken. To help build your loved one’s case against the nursing home, you will need to acquire your loved one’s medical records. The medical records you’ll need will be from the primary care physician, from any hospital visits, and from the nursing home itself. The nursing home records are sometimes the most important, because within those records you may be able to find clear examples of neglect. To get those records, you will need the proper written authorization. State and Federal privacy laws prevent third-parties from viewing people’s medical records. This includes a spouse, sibling, or child. Written authorization usually comes in the form of a power of attorney, a healthcare directive, or guardianship paperwork. If a loved one passes away, their right to sue does not go away. A deceased person’s right to recover what’s rightfully owed is handled by an Estate. The plaintiff of a lawsuit goes from being “Douglas Rhodes” to “The Estate of Douglas Rhodes”. But an Estate must first be established before a lawsuit can be filed. To create the Estate, the surviving spouse or relative must petition the Probate Court of the County in which the deceased passed. If you’ve found yourself in this predicament, you want to make sure to setup an Estate immediately. You’ll also need to appoint a personal representative, who is often referred to as an Executor or Administrator. This representative will act on behalf of the Estate, and will make the decisions with regards to the lawsuit. If you’re looking for a nursing home, understand that they each have their own pros and cons. Here is a list of the nursing homes in Kingsland, Georgia, along with relevant information for each. This information is taken from CMS’ Nursing Home Compare Website. Singular Focus: Our practice focuses solely on nursing home abuse and neglect cases, that’s it. Focusing in one area makes us more knowledgeable about changes in law that pertain to nursing homes. When you combine our knowledge, experience, and passion, you’ll receive top notch service from attorneys that have gotten millions in verdicts and settlements in the past two years. 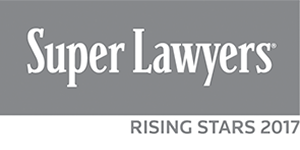 Recognition: Our attorneys have been selected as Georgia Super Lawyer Rising Stars, and that’s not all. 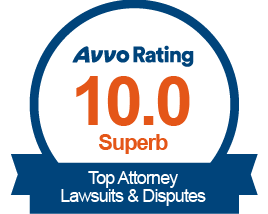 We are also Google’s best reviewed law firm in Georgia that focuses on nursing home cases. But don’t take our word for it. Check out our client testimonials and see for yourself. Resourceful: Our website contains over 200 videos that that provide valuable information that pertains to nursing home cases. We also have a podcast and a blog that are solely dedicated towards providing valuable info with regards to nursing home cases and law. If your loved one was injured or died in a Kingsland, Georgia nursing home, please call us at Schenk Smith (678) 823-7678 for a free consultation. You can also check out hundreds of video FAQs on our website.